When making an offer on a home, you will show the sellers you mean business with two things: 1) a chunk of cash called an earnest money deposit, and 2) a piece of paperwork known as an earnest money contract. Odds are you’re focused on the first. The earnest money deposit, after all, is a large sum of money you put down on a house that demonstrates your good faith in this transaction—and as such, it’s safely held in an independent third-party account until this home officially becomes yours. Meanwhile, the earnest money contract is just a few flimsy pieces of paper. Can’t you just eyeball this fine print and move on? No, you can’t! Or shouldn’t. The earnest money contract is one of the most important documents to understand before you sign on the dotted line, because it outlines exactly what will happen to that cash depending on how this deal unfolds (or doesn’t). In other words, if the home sale falls through, you might be able to take your earnest money with you—or you might have to forfeit it to the sellers. The contract will tell the tale. So grab those reading glasses—here are some salient points to scrutinize on your earnest money contract so you end up on the better end of this deal. First things first: This contract must include the amount you plan to offer as your deposit. Bruce Ailion of Re/Max Town and Country reminds buyers to consider this number carefully before submitting an offer. So how much is considered reasonable? That depends. Often earnest money deposits are between 1% and 2% of the full purchase price. 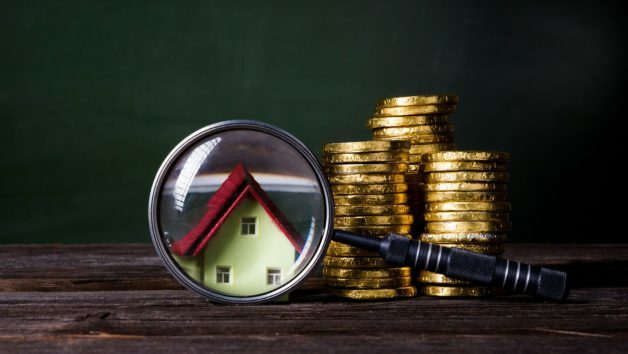 However, Ailion cautions motivated buyers not to limit themselves to that range since a higher deposit amount may impress the seller and make that offer stand out. Home inspection: This is where you hire a home inspector to assess the condition of the property and point out necessary repairs. If problems are unearthed, you can negotiate a lower offer or walk away from the deal—with your earnest money intact. Sale of your current home: Many buyers will need to sell their current home in order to buy a new one, so this contingency gives you a time frame in which to make that happen. If you can’t sell your home, you can renegotiate the deadline or cancel the deal and keep your cash. Securing financing: A financing contingency gives buyers a specified amount of time to be approved for a mortgage in order to buy the property. If you can’t secure financing, this clause allows you to back out of the deal and take your earnest money with you. Appraisal contingency: Many lenders require that an appraiser makes sure the house is worth the price you’re paying (it’s their money on the line, after all). If the home isn’t appraised for what you’re paying, you have a right to renegotiate your offer—or walk away, leaving no money behind. Whatever contingencies are included in an offer, each comes with a clause indicating how many days a buyer or seller has to satisfy them. If buyers discover something they don’t like within that period, they can exit the contract without penalty, says Adriana Mollica, a real estate agent with Teles Properties. Settlement period: The length of time needed to close on a house is usually between 30 and 90 days after the contract has been signed. Home inspection: The buyers will typically have 10 days to complete an inspection and then additional days to ask the seller for any repairs. Financing contingency: Buyers should apply for a mortgage within the first five days after the agreement of sale has been executed. They will then work with a lender to verify their finances and should receive a firm mortgage commitment within seven business days of the settlement date. Appraisal contingency: Since lenders often size up the house before they’ve even approved the borrower, the appraisal must customarily be done within 30 days after executing the agreement of sale. Home sale contingency: This will generally fall between 30 and 60 days. While it is possible to extend the contingency time frames if needed, there’s no guarantee the sellers will agree. If the sellers aren’t willing to budge, they are within their rights to dissolve the sale and walk away with your deposit money, so extensions should be used as a last resort.